Entirely matured in first fill sherry butts. This is a fantastic Caol Ila that was distilled on 21st Feb 2005 and bottled on the 20th July 2016. Just four barrels were chosen and when bottled at natural cask strength the ABV evened out at 57.3%. Like all their whiskies this is unfiltered and bottled without any colouring. Flavour Sweet vanilla, stewed fruit and peat smoke aromas. The palate is peppery with banana, apple and lingering bonfire embers. Types of Barrel used for Aging Drawn from just four 1st fill sherry butts. 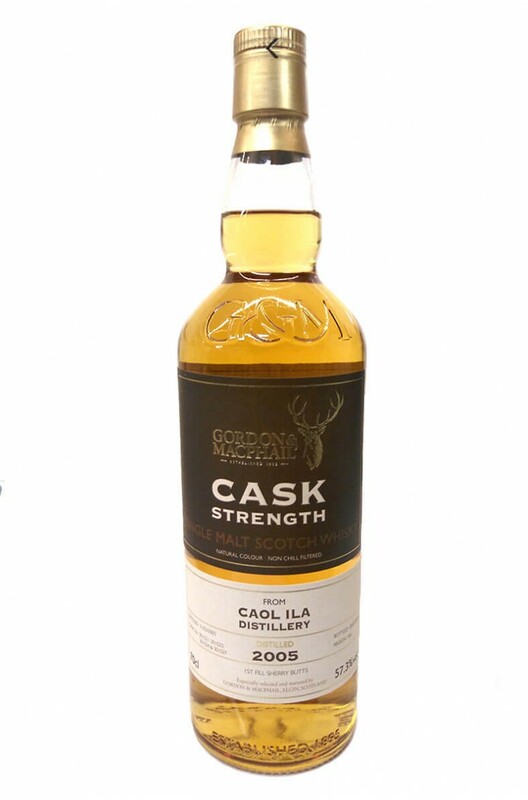 A classic Caol Ila with some medium level peat smoke and delicious flavours of vanilla, cream, honey..